Consider the long-term consequences of plastic surgery procedures before you pay the big bucks. Some may be too dangerous to try. Despite a slower economy, people worldwide are still spending money on cosmetic plastic surgery procedures. 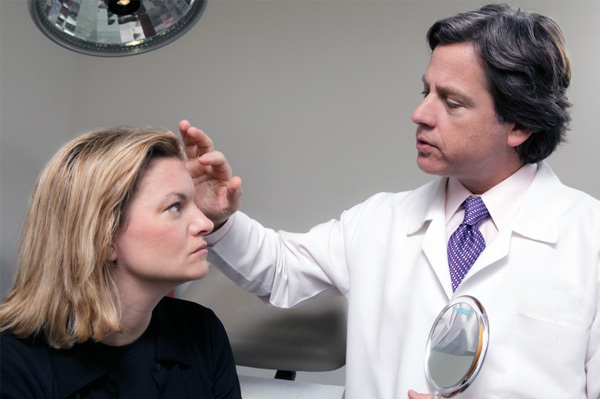 They continue to flock to doctors in a quest to improve their appearance and the number of surgical and non-invasive procedures has steadily risen in the last decade. While every surgery carries some risk, reputable surgeons and dermatologists are in agreement that there are some procedures that should be avoided. The results these procedures offer are simply not worth the risk. Many physicians believe that a treatment called Lipodissolve is the most ill-advised procedure available today. It is an injection of a cocktail of substances intended to dissolve away fat deposits, but there have been no scientific studies to verify that it works, nor is it certain that the chemicals used are safe. In some cases, the injection can cause pain, swelling, hard lumps and skin ulcerations. This procedure has been banned in Brazil and several other countries, but is still widely available in most of the rest of the world. There have been no studies done on the long-term effects of the chemicals used in Lipodissolve, and no uniform agreement on where the fat actually goes when it dissolves. Injections of permanent fillers plump up wrinkles and lips, fill out fine lines and add extra facial volume where needed. The most commonly used fillers are temporary: after a period of time, the body absorbs them and the results are lost. Injections of collagen and Botox have a certain life span before they need to be repeated. Enter the permanent filler, tantalizing because of the promise that repeated injections won’t be necessary. The patient undergoes only one treatment — and pays just once — rather than having to repeat the process. Permanent fillers including liquid silicone and a product called Aquamid have been known to lead to a number of complications for the patients who have used them. They bind irreversibly to the tissues and have a tendency to “drift” — the drifting causing a distorted appearance. Another great concern is that many non-physicians offer silicone injections, upping the risk of a botched procedure. Want to skip your daily makeup routine and save on the price of cosmetics? That’s the appeal of tattooed makeup, but the reality can be a disaster. Some patients get a botched job from untrained practitioners and even those women who were initially satisfied with the look might change their minds. Tattooed makeup is nearly impossible to take away because the tattooed areas are some of the body’s most delicate tissues. If you don’t like the results, you’re stuck with them for life. Even with the latest complement of high-tech tattoo removal lasers, there is no guarantee that the tattoo can ever be completely removed.